Botch the Crab - Botch's Collection (2008): Protect Roller! Smokescreen and Tracks are assigned to shadow and guard Roller at all costs. 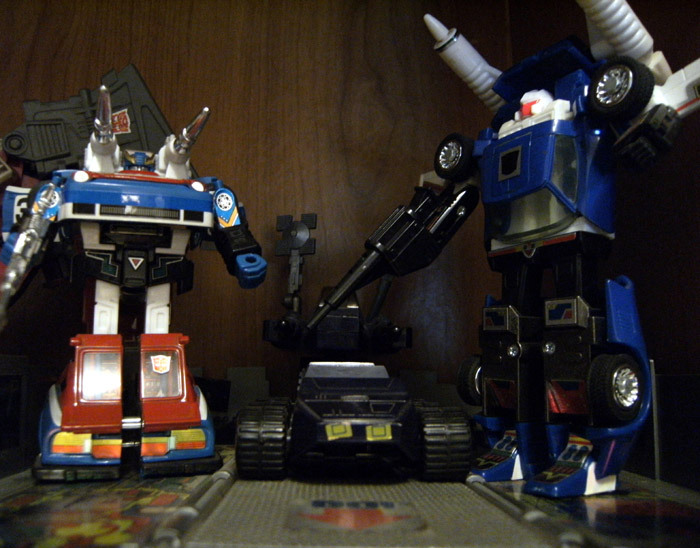 The success of Prime's little scout car is the key to the entire operation! Background: Optimus Prime's trailer in combat deck mode.